Modern Fashion Cowboy. Wearing Brown Hat And Blue Jeans Shirt... Stock Photo, Picture And Royalty Free Image. Image 25226315. 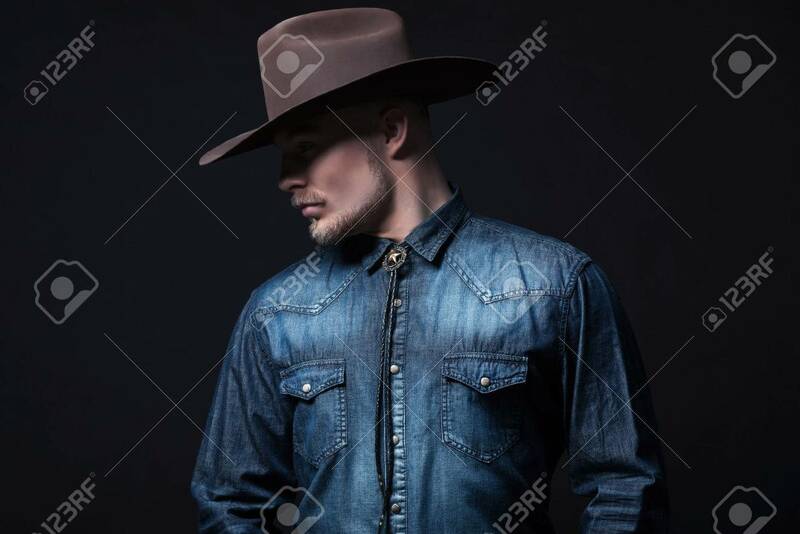 Stock Photo - Modern fashion cowboy. Wearing brown hat and blue jeans shirt. Blonde hair and beard. Studio shot against black. Modern fashion cowboy. Wearing brown hat and blue jeans shirt. Blonde hair and beard. Studio shot against black.